Appolonia City has been named “Most Promising Company of the Year” at the Ghana Business Awards. 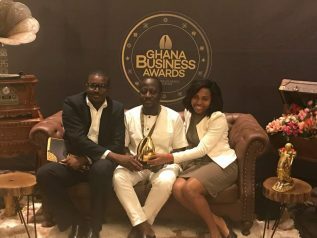 The event, held at the Kempinski Hotel Gold Coast City in Accra, recognised, rewarded and celebrated achievement and innovation by businesses in Ghana. It brought together key government officials and business leaders from a range of industries. The award for Appolonia City, the largest real estate development in Greater Accra, is in recognition of its significant role in the growth and development of the Ghanaian economy. The Ghana Business Awards was organised by Globe Media Productions, the Ministry of Business Development and the Ghana Standards Authority. Other award recipients included Ebenezer Twum Asante, the former Chief Executive of MTN Ghana (CEO of the Year), and Dr. Kwabena Adjei of the Kasapreko Group of Companies (Entrepreneur of the Year), among other notable organisations and individuals.